Several incidents in this novel ensure that the innocence of Vega's childhood has gone forever. She has had a tough childhood anyway but the going from now one threatens to be even tougher. She lives with her mother who works in a bar at night, her uncle Dan sells moonshine, assisted by her brother Jakob who has left home. Her brother becomes an accessory to a crime that puts the police on his trail, and Vega needs to know what actually happened and why. I found this a complex and rather bleak novel. In the end I kept thinking that the future for Vega cannot be good. The book blurb says it is the author's first for young adult readers, and there are certainly some provoking "coming of age" elements. Christoffer Carlsson was born in 1986 and raised in Halmstad, on the west coast of Sweden. He has a PhD in criminology, and is a university lecturer in the subject. He began writing at a very young age and has, since his debut at twenty-three, written five novels in the crime genre. 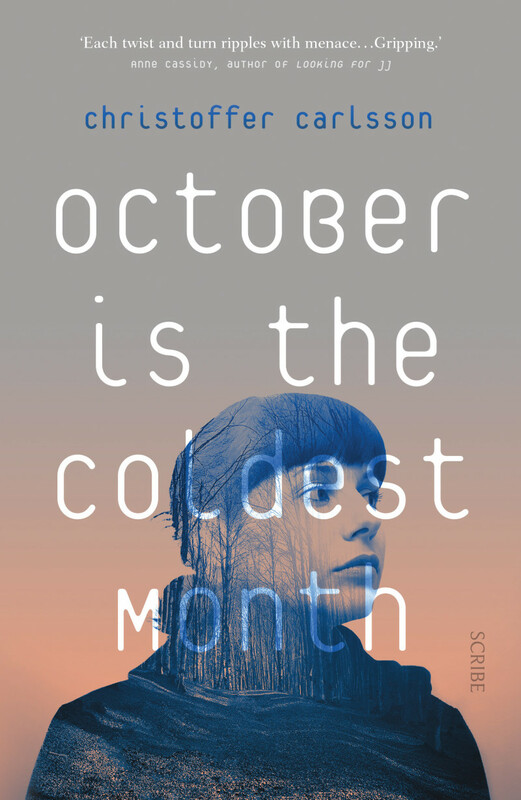 October is the Coldest Month is his first book for young adults. In 2013, he became the youngest author ever to have won the award for Best Swedish Crime Novel of the Year, which he was awarded for the first book in the celebrated Leo Junker series, The Invisible Man from Salem .